What’s your favorite way to stay fit? Do you take a spin class at the gym? Maybe you’ve joined a walking group? For many women at Calvary, the new favorite fitness activity is Tai Chi. Over the summer, our Education Coordinator Elaine Johnson brought her friend Milton, a Tai Chi enthusiast for a tour of Calvary. 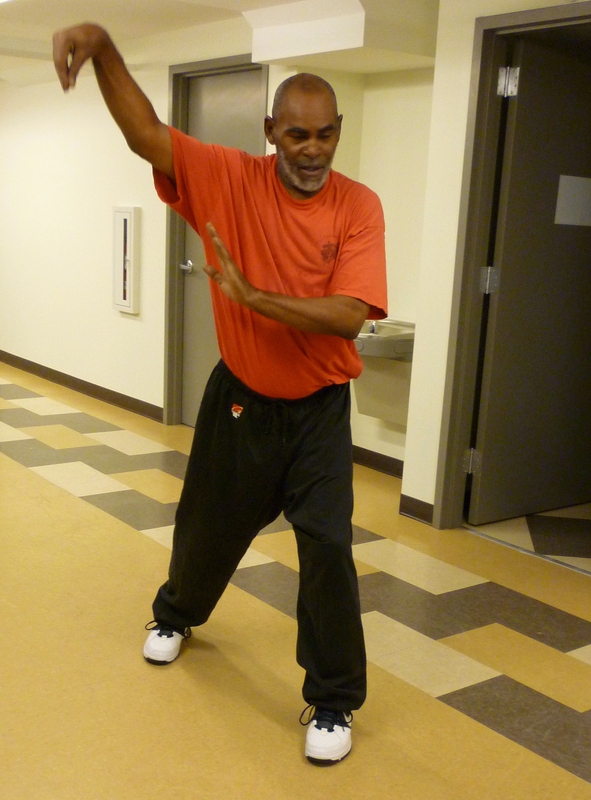 When she asked him if he was interested in teaching Tai Chi to the women who come to Calvary as part of our Life Skills, Education and Arts Program (LEAP) offerings, he enthusiastically agreed. Without a doubt, Milton’s instruction and gentle encouragement have empowered women at Calvary to be stronger and more active. It has also taught everyone the importance of holistically caring for oneself. Many heartfelt thanks to Milton for donating his time, attention, and energy to the women at Calvary. LEAP classes are a labor of love, and they would not be possible without volunteers like Milton, whose spirit of generosity embodies Calvary’s mission of providing safety and care to all women who enter our doors. If you would like to volunteer with the Life Skills, Arts and Education Program (LEAP) at Calvary, please contact Elaine at 202-678-2341 or ejohnson@calvaryservices.org.